My Baggage provides a low cost and convenient student luggage shipping solution for students who need to transport their belongings quickly and easily to and from Ireland. My Baggage is the No.1 Student Shipping Company! Book online and we will collect your luggage and deliver it straight to where it needs to go. We provide full online tracking, as well as text and email notifications to keep you updated along the way. Thousands of international students come to Ireland to study, as it offers a fantastic study abroad experience. My Baggage can ship from USA, UK, Asia and Europe to and from Ireland. My Baggage have office based in Ireland to handle any questions you may have. Every year thousands of Irish students pack their bags and travel to the UK, USA and further afield to attend university or college. It’s a convenient option for Irish students – giving them the opportunity to leave home and gain independence without moving too far away. Liverpool, Manchester, Newcastle and Edinburgh are among the most popular destinations for Irish students travelling to the UK – as they are all only a short plane or ferry journey away. 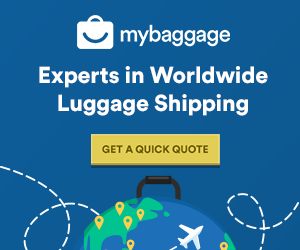 My Baggage provides affordable and hassle-free luggage shipping to all UK cities and USA cities, which can save Irish students a considerable amount of money when it comes to airline baggage fees and ferry costs. It’s also a much more convenient alternative – we offer door-to-door service and can collect your luggage directly from your home in Ireland and deliver it straight to your University accommodation. We offer super fast luggage delivery times of 3-4 days (or 1-2 days on our express service) and full online baggage tracking is available. In addition, My Baggage also offers international student shipping services – so whether you’re leaving Ireland to go across the globe, or are returning home to Ireland, My Baggage can help you ship your belongings there quickly and safely. Likewise. Ireland is also a popular choice for many UK students who want to study away from home without venturing too far. UK students can also take advantage of the high level of education offered by Irish universities. Some of the top Irish universities include University College Dublin, Dublin Institute of Technology, Trinity College Dublin, NUI Galway and University College Cork. How much can I send with My Baggage? 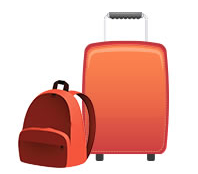 With My Baggage, students have a baggage weight allowance of 30kg/66lbs. This is almost double the weight offered by most airlines, meaning you don’t have to leave any of your important belongings behind. How much does luggage shipping to Ireland cost? As we know students have enough expenses, we like to keep our rates as low as possible. There are no hidden costs within our prices and we also offer €/$100 free compensation cover. You can add up to €/$1,000 of cover during booking. We also provide a handy Price Match tool, so if you do find a cheaper price elsewhere, we’ll try to beat it.